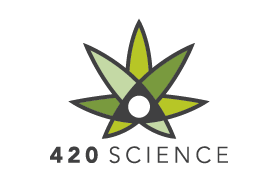 Why should I use a 420 Jar? Several reasons. We'll name three, but there are like fifty. Number 1 - Freshness. Herb isn't cheap; don't let the quality degrade by storing it in a plastic baggie. Number 2 - Presentation. 420 Jars look good and show you have a little style and a taste for the nicer things in life. Number 3 - Smell. 420 Jars help to contain that infamous herb odor. Want to know more about storing your herb, check out our knowledge base. Aren’t your jars just decorated with stickers?